Syklimit, which has the best in class medical technology, provides a holistic approach to its treatment for the clients. An investment of Rs.500 crore will be pumped over a period of 3 years into opening 150 wellness centers across India. 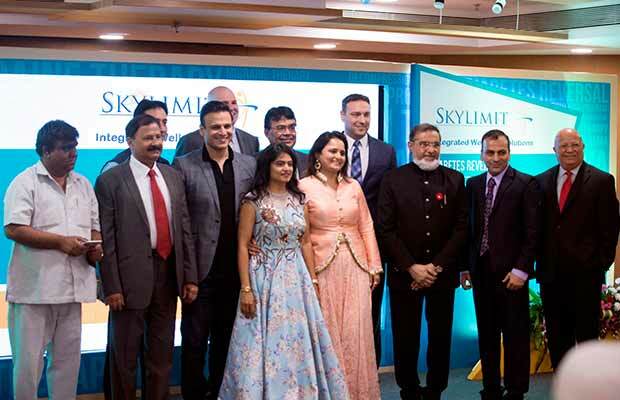 At the launch, Skylimit also announced its partnership with Life Vantage, which is a 220 million dollar company. One of the USP of this wellness center is that the services provided are non-invasive. Mr. Haresh Mehta founder of Skylimit had pledged to bring his services from US to India, post his personal experience with the centre. Skylimit has more than 900 American doctors and 2 Clinics in the USA. They have patented and trademarked all its services and treatments. They have a distinctive specialty in diabetes reversal, weight loss and skin care. Next articleRaksha Bandhan 2017: Here’s How Bollywood’s Best Brother-Sister Jodis Are Celebrating The Special Day!